Hardened Tories, who had delivered leaflets and knocked on doors for years, found themselves passed over for bright young things. So which members of the controversial "A List" are now members of parliament? 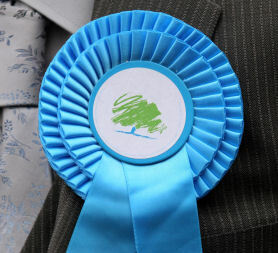 David Cameron’s A List – a fast track for Conservative candidates that the party hierarchy wanted to see in parliament – caused considerable controversy. Some had few prior links to the party. Others had actually supported rival parties in the past. And there was a particular focus on women and minorities. Although the A List was quietly dropped, certain candidates continued to enjoy most-favoured status. Others were already key players in the party. However, they did not all triumph. Hammersmith candidate Shaun Bailey (pictured below) is almost the precise opposite of the stereotypical Tory. A youth worker, he informed voters that: "I'm not a career politician. I was brought up by my single-parent Jamaican mum on tough, drug-ridden estates." Bailey is unpretentious, frank, and utterly untroubled by political correctness. The Conservatives were extremely eager to use him as a poster boy, perhaps in part because his candidacy seemed so counter-intuitive. They hoped to appeal to voters who might not otherwise support them. But Bailey fell short in the end, losing to Labour incumbent Andy Slaughter. Conversely the youthful Annunziata Rees-Mogg – who lost Somerton and Frome to the Lib Dems' David Heath – is a more conventional Conservative (although her father Lord Rees-Mogg sits as a crossbencher). Her Old Etonian brother Jacob Rees-Mogg won neighbouring Somerset North East. Reportedly, the Tory PR machine wanted Annunziata to go under the name Nancy Mogg in a bid to make her sound more earthy, but she declined. A leader writer for the Daily Telegraph, she edited the eurosceptic European Journal. Often been photographed with Cameron, Joanne Cash was defeated in Westminster North by Labour’s Karen Buck. She caused a stir when she resigned from the seat earlier this year after clashing with association chairwoman Amanda Sayers. The local party rejected her resignation, however, and she did fight the seat. A lawyer with a working class Northern Irish background, she is married to another Old Etonian. She used her speech at the election count to accuse the media of lying about her and her family. A successful entrepreneur who launched a range of foods under the label the Black Farmer, Wilfred Emmanuel-Jones (pictured below), was born in Jamaica and has worked in television and catering. He was beaten in Chippenham by new Lib Dem MP Duncan Hames. He would be hard-pressed to deny that he is an eccentric, having campaigned on the back of a horse, told interviewers that he admired George Galloway and Dennis Skinner, and called David Cameron a "posh git". He was generous enough to add that Mr Cameron "can’t help that". Cameron will nevertheless be pleased that some of his favoured few did make the cut. Paul Maynard, who beat Labour candidate Penny Martin to take Blackpool North and Cleveleys, is one to watch. Hailing from Cheshire he can boast, perhaps uniquely, to have been educated at both a special school and Oxford University, where he took a First in Modern History. A cerebral palsy sufferer who is disarmingly jocular about his condition, Maynard built an impressive reputation as a desk officer at Conservative Central Office, where he advised Liam Fox on health policy. A seasoned psephologist and speechwriter, he will bridle at any suggestion that Tory high command should raise his profile because of his interesting back story. And he is straightforward about his dislike of "being told what to do". Nicholas Boles has taken Grantham & Stamford with an absolute majority, beating Lib Dem Harrish Bisnauthsing into a distant second. The seat was won by Quentin Davies in 2010, who subsequently defected to Labour. Boles is very much one of the Notting Hill set and very close to Cameron. Gay and self-confident, he has overcome cancer and a less than convincing result in Hove in 2005. He is widely expected to be advanced to the front bench as soon as seems decent. Nicholas Boles leads the Tories' Implementation Office with Francis Maude, a body set up to prepare the party for government. Boles took charge of Boris Johnson’s London Mayoral transition team (having been an early candidate for the Conservative nomination for Mayor himself), a task for which he was paid an eye-watering £12,000 a month. However, his reputation took a knock when a slew of appointees had to resign in disgrace. Zac Goldsmith (pictured below), who unseated Lib Dem Susan Kramer in Richmond Park, was green long before that was fashionable in Tory circles. The son of Sir James Goldsmith (founder of the Referendum Party) and nephew of Edward Goldsmith (founder of the Ecologist magazine, which Zac edited), Goldsmith disproves the theory that all old Etonians are stereotypical Tories. Like his father, Zac Goldsmith is a maverick, and he only joined the party after effective wooing from former Shadow Environment Secretary Peter Ainsworth. He has promised to resign if Cameron breaks campaign pledges such as opposition to a third runway at Heathrow. Goldsmith admitted last year that he was non-domiciled for tax purposes, although he has now dropped that status. With a good profile and no need to rely on ministerial office to prevent starvation, Goldsmith will not be afraid to defy the whips. Nevertheless, he brings much needed glamour to the party and it's likely we'll see a lot more of him in the years ahead. A former tutor to Princes William and Harry, Rory Stewart is yet another Old Etonian, and attended Oxford and Harvard. He is also a soldier, Foreign Office official and British governor of an Iraqi province. A genuine intellectual, he has walked across Afghanistan, where he says the west “cannot win” the war. Openly ambitious – he wants to be foreign secretary one day – he has nonetheless made clear that he will not be afraid to rebel against the leadership. He will represent Penrith and the Border in the House of Commons. Louise Bagshawe, who has won Corby, was Secretary of the Oxford Union and worked for Sony Music. She leapt to fame, however, as the author of a series of "chick-lit" novels. A flirtation with New Labour has not endeared her to some of the Conservative party membership, but she is a very good media performer and hard worker who is likely to enjoy wider recognition soon. Her modern Conservative credentials are burnished by her work with homelessness, child welfare and AIDS charities as well as her hospital and hospice fundraising. So, on the surface, it's going to be hard for David Cameron to shed his "posh" image with so many of his new intake MPs sharing the leader's Eton background – the parliamentary party has eighteen in all. But, more importantly, he might find himself with a fight on his hands. Those MPs with a self-professed independent streak will find themselves under huge pressure to fall into line – with no overall majority and perhaps a fragile coalition with the Liberal Democrats, the Tory leadership will demand total loyalty. How would a Cameron government stack up? How close is Tory and Lib Dem economic policy?